Fridge, Freezer or Fridge Freezer? It’s the dilemma that faces all modern households when it’s time to invest in a new refrigeration solution. Do you go for a fridge, freezer or fridge freezer? There’s no right answer to this question as different households have different needs, preferences and designs. What we can do is compare the three in a few different areas and then pass on our advice of what to consider before purchasing. The first factor we’ll look at is the cost. If you’re looking for the most budget-friendly refrigeration solution for your household then there’s one clear winner. A fridge freezer is normally always cheaper than buying a sperate fridge and freezer. An American-Style fridge freezer will be a bit more expensive than a standard fridge freezer but offers more space and they generally tend to be higher-spec. When we consider the cost of running an appliance as well, one appliance will again almost always be cheaper to run than two appliances. Consider this, an A+ rated fridge freezer is often cheaper to run than an A+++ fridge and freezer combined. Sometimes, it will be cheaper to run two separate appliances than a fridge freezer, but it’s worth checking the energy rating kWh consumed per year to be sure. When it comes to capacity, buying a separate fridge and freezer is the clear favourite. Separate units can easily offer you upwards of a combined 1000 litres of capacity, perfect for big, hungry families. The obvious downside to this is space on the ground. There are more limitations in terms of physical space with two separate appliances. If you have a big, hungry family and ample room for two separate appliances then we think you’ll get more out of separate appliances. When you have a big family, being able to buy and store in bulk helps massively with food costs. If you’re a smaller family however, you’ll be able to fit everything into a fridge freezer and especially an American-Style fridge freezer with ease. Convenience is an important factor when it comes to household appliances. It’s essentially what you’re buying them for, for convenience. Is it more convenient to purchase a single fridge freezer unit or have two separate units? Again, this depends on circumstance but it is normally always going to be the fridge freezer. Everything is stored in the same unit, it’s easier to keep inventory of your fridge and freezer when they’re combined, a combined unit will take up less space and is easier to design a kitchen around. When you think about the ‘golden triangle’ design of kitchens where there is a clear route and access between the kitchen sink, fridge and oven, having a combined unit obviously contributes to the efficiency of that design. Having said this, the inconvenience of having two separate units isn’t enough to warrant not buying it if it’s more cost effective and the capacity is more suited to your needs. Cost and capacity are much more pertinent factors to consider than the convenience. There a few other things to consider before making this decision as not every household consumes and stores food in the same way. 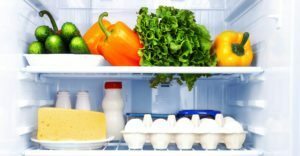 If you tend to store more fresh ingredients and are apprehensive to buy a freezer when you won’t really use it that much, consider a fridge freezer that has a larger fridge section than freezer. Some fridge freezer models offer a 70-30 split between fridge and freezer, for example. If space is an issue in your household, especially width, then look to units that are taller in stature. You can compensate for having to choose a smaller width by getting some extra height. If you’re looking to upgrade freezer space because of frost build-up in yours, then consider frost-free models. These can remedy the space issues you’re having and ultimately lead to less maintenance and headaches in the long run. Defrosting your freezer is an easy job but is still something you’d rather not have to do. Consider integrated models as well. 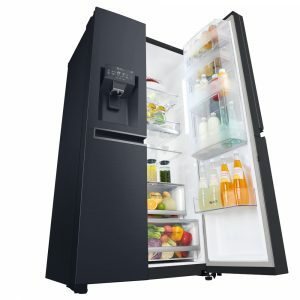 If you have a larger budget to play with and would rather have a refrigeration solution that doesn’t disrupt your kitchen’s design, two integrated fridge freezers might be a better option than a standalone American-Style fridge freezer for example. Finally, look into the smart features that refrigeration units offer these days, especially multi-temperature zones. If you’re really serious about cooking and your food, then make sure you’ve considered a fridge that allows you to store food at different temperatures within the same unit so you can get the most out of your ingredients and cook like a pro. For our ranges of fridge, freezer and fridge freezers, head to our refrigeration section. 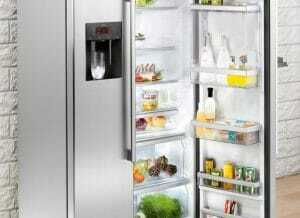 We also have wine coolers and American-Style fridge freezers for you to check out. With other great appliances across all of our ranges including our fantastic range cookers, cooker hoods, hobs, microwaves, small appliances, laundry appliances and more, there’s a ton of great deals on our website. Save money when you buy online today at Appliance City!